Stink Pits Stink! What is a stink pit? Where to find them? This week, the Scottish Parliament will debate the use of stink pits in a motion put forward by Christine Grahame MSP. The Stink Pits Stink debate will be a chance for MSPs to discuss these pits which are used across the country as a fundamental part of predator control on shooting estates. If you’ve never been out on a shooting estate before then you may be unfamiliar with what one actually looks like. 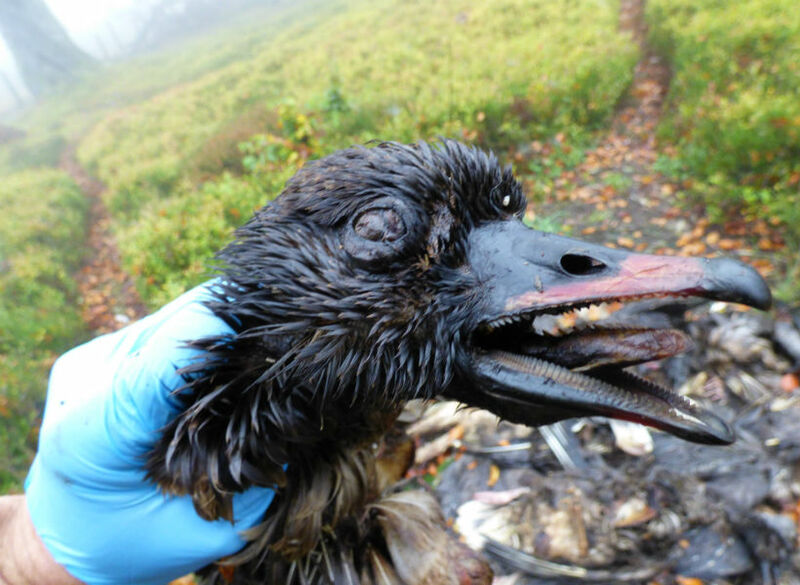 Stink pits are dug by gamekeepers and filled with bait such as wildlife carcasses, fish heads and other animal remains. 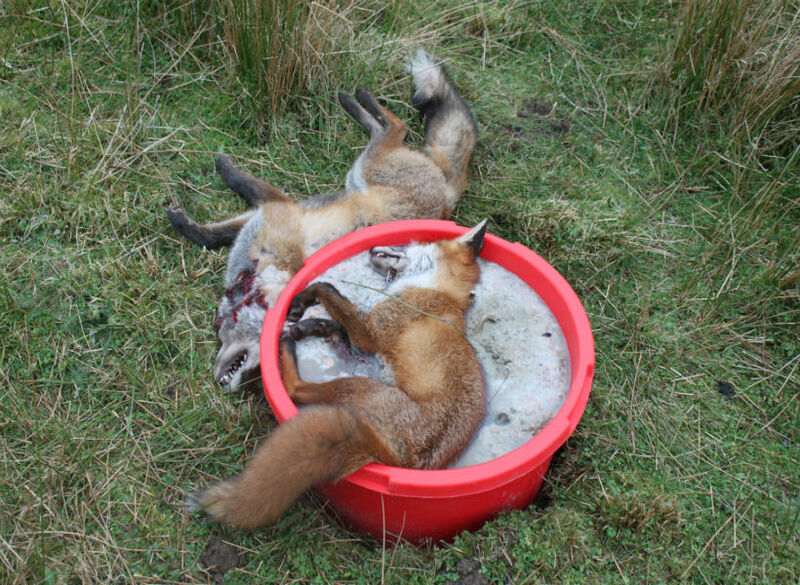 The smell of decomposing animals is then used to lure foxes towards the bait and snares are set to catch them as they approach. The majority of people who have seen stink pits would describe them as disgusting and unhygienic, but they are completely legal in Scotland. They are also very much in favour of the shooting industry. While farmers in Scotland are not permitted to bury livestock on their land (other than designated remote areas in the Highlands and Islands), gamekeepers are free to kill and dump piles of dead animals as bait to kill even more animals. OneKind is calling for the use of stink pits to be reviewed as a matter of urgency. Together we want to see stink pits banned altogether on ethical, animal welfare and public health grounds. Here’s five of the most disgusting stink pits we’ve come across to give you an idea of what they’re really like. These two foxes were found by OneKind staff following a report by a member of the public who had discovered a fox caught in a snare. They found the fox already dead and placed in the stink pit next to a young fox who had a snare around its muzzle. There were 3 snares set around the stink pit to catch other animals that followed the scent of the dead foxes. Twenty active snares were found in woodland in Angus by a field officer. 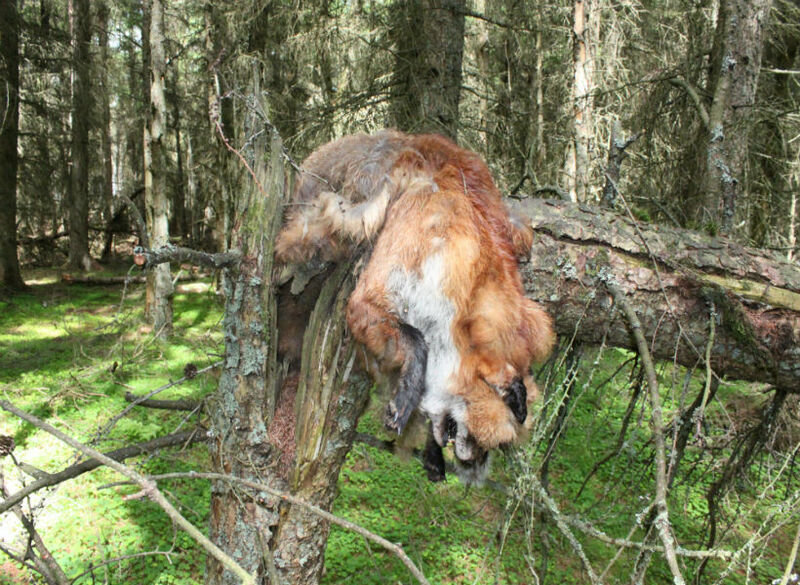 Just beside the line of snares was a dead decomposing fox that had been thrown over a tree stump. Another dead fox was found nearby with a snare still around its neck. A dozen pink-footed geese were found in a stink pit in Berwickshire. These birds are protected between February and September suggesting they were shot and dumped in the stink pit as soon as the season opened. 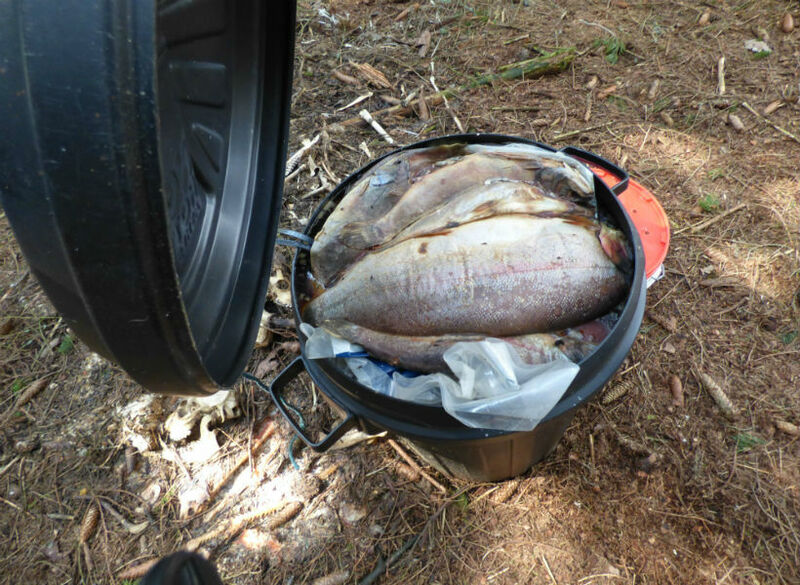 This container full of whole salmon was discovered in the Glen Almond Estate in Perthshire. A snare had been set in a wall of branches to catch animals attracted by the smell from the stink pit. 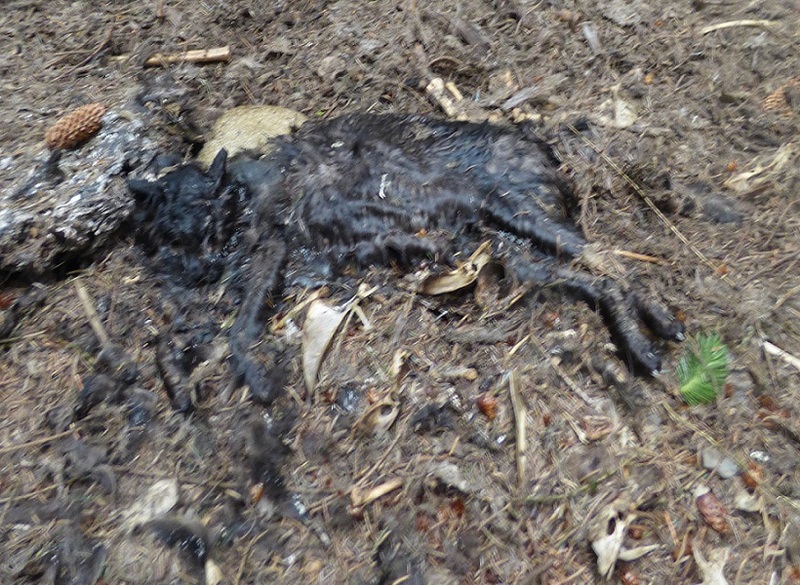 This stink pit was found after a member of the public reported seeing snares near a reservoir. The pit contained deer, pheasant, crows, fresh salmon and a fox. This cat looked as if it had only just been killed due to lack of decomposition. Two snares were set in gaps around the pit to catch any animals.